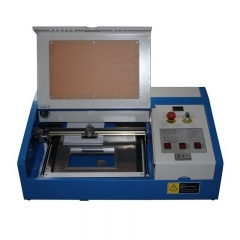 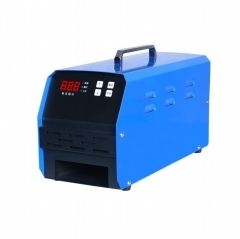 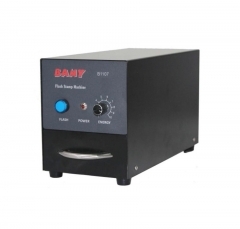 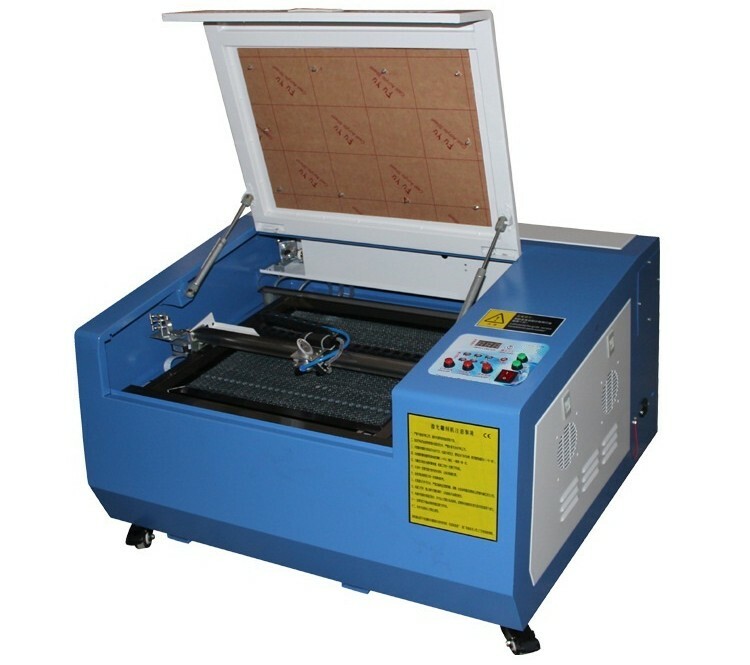 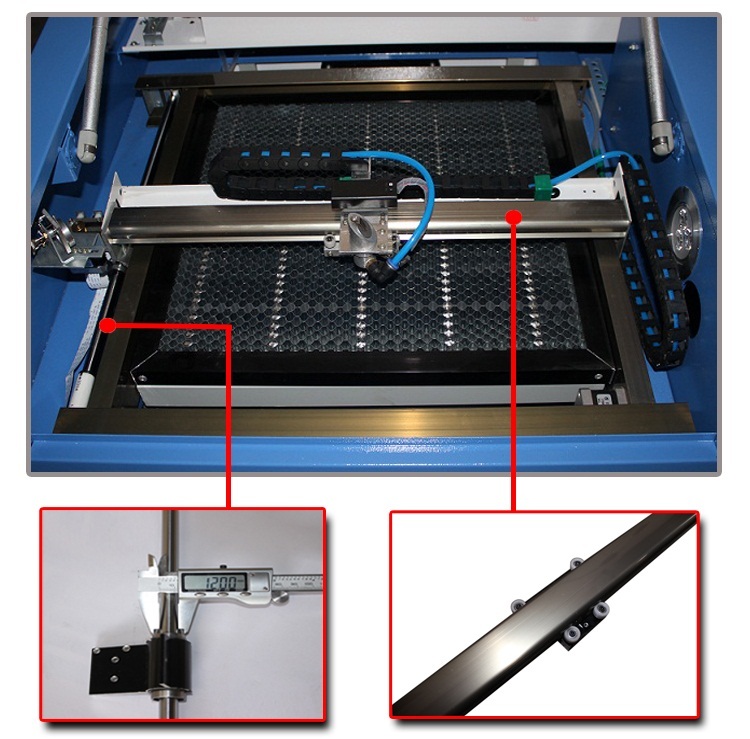 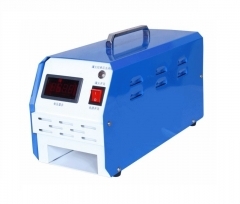 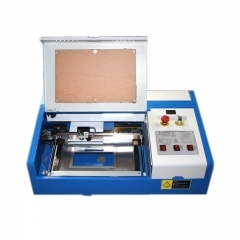 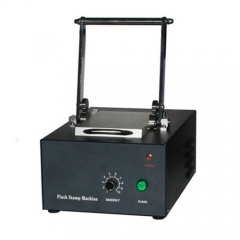 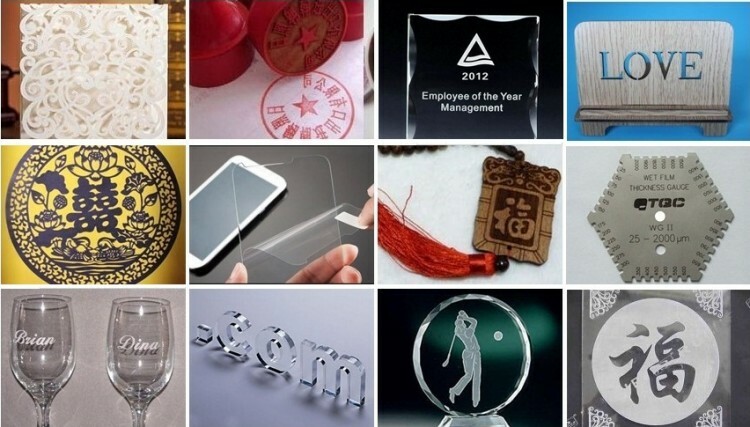 Mini Desktop 4030 400x300mm CO2 Laser Engraving Cutting Machine, suitable for rubber stamp engraving, handcraft engraving and cutting, phone film cutting etc. 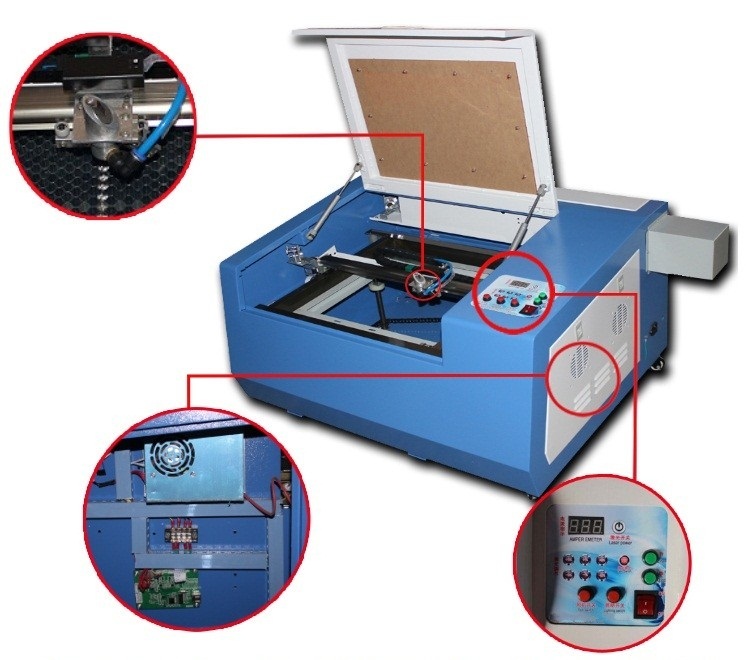 1, This model adopt round guide rail and with double Y axis, ensure the laser head running smoothly and high speed. 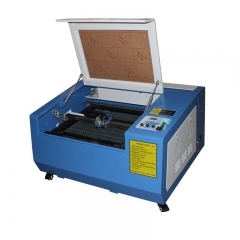 2, Laser cutting head with air blowing and red light positionging. 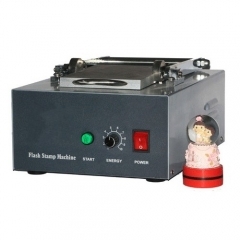 3, With honeycomb table, can engrave and cut small items. 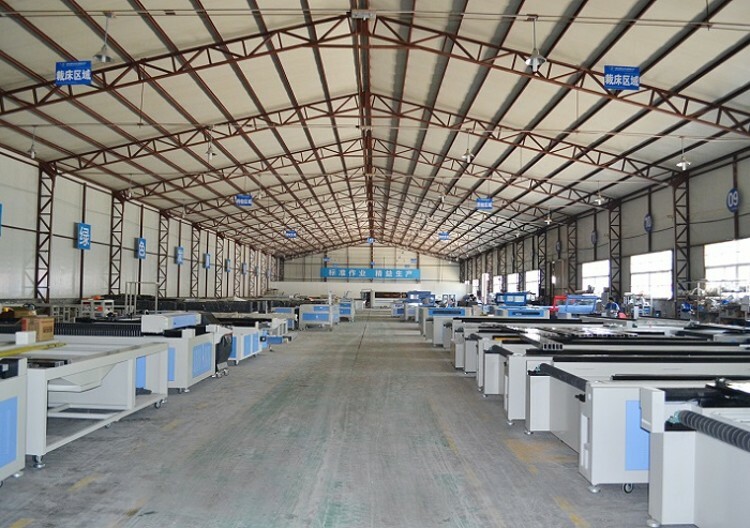 4, M2 mainboard, can support Laserdrw,winsealxp,corelDRAW software. 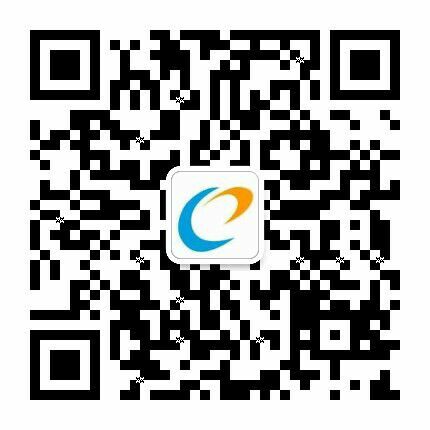 friendly operation.